I am delighted to announce the details of this event that I am organising, to be held in my locality. Please book via Eventbrite here. Venue: Frodsham Community Centre, Fluin Lane, Frodsham, Cheshire. Drinks will be provided. Please bring your own lunch. An event for parents/ parents-to-be, volunteers & early years, healthcare assistants, nurse associates, health visitors, etc. 9.15 – 9.30 a.m. Chair (Elaine Hanzak) welcome and opening discussion from delegates – who they are and why they have come. Description: We call it the “transition” into parenthood, and yet becoming a mother or a father actually involves multiple transitions for both parents. 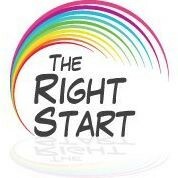 In this session, you’ll discover what those transitions are and ways for couples to break all the transitions down into stages that not only help them cope with becoming parents, but also enhances both partners’ mental, emotional and relationship wellbeing, so their whole family can thrive. Description: A story told from a personal experience by international campaigner Mark Williams (author of Daddy Blues) who, after speaking to over two thousand dads who have suffered in silence, now campaigns for all parents to be supported and screened during the antenatal and postnatal period. The biggest killer in men under 45 is suicide and the UK still have no mention of the word “Fathers” on CG192 Nice Guidelines (Clinical Guide no, 192: Antenatal and postnatal mental health: clinical management and service guidance. National Institute of Healthcare Excellence). Description: Having a baby is a game changer. The three months after birth, the fourth trimester, involves adjustments as potent as the three trimesters of pregnancy: physically, emotionally, socially and relationally. Having a Postnatal Wellness Plan helps parents navigate this pivotal and stressful time with tools that foster competence and confidence, as they learn a new set of skills and realistically adjust their expectations as part of the adaptation to parenthood. There will be a demonstration of energy medicine techniques as part of this holistic approach to optimising life after birth. Description: The perinatal period is so often focussed on the physical aspects of the health of the mother and baby. Elaine will briefly share her story of developing and recovering from an extreme form of postnatal mental illness. She will then outline some of the ways to maximise your mental health whether you are planning, expecting or adding to your family for the first or subsequent time. Description: Sometimes known as a soft skill, language and communication can both be responsible for some of the high moments as partners and parents and, definitely some of the lowest moments as well. The mental, emotional, physical and chemical changes that can and do take place directly in relationship to our inner and outer talk, will amaze you. The opportunities for real change as parents and partners as we learn about language is almost a must-have! In a world that can be filled with stress, mis-communication and real challenges around mental health, Elaine wrote ‘Eyes without sparkle – a journey through postnatal illness’ (CRC Press, 2005) to offer hope and to challenge the stigma around mental health. It describes her experiences following the birth of her son. Formally a dedicated and compassionate teacher, she has devoted her life to perinatal mental health, to clear communication and to being inspirationally challenging since her first book was published. Elaine has spoken nationally and internationally and is sought after for her clarity of speech and thought as well as her inspirational and motivational communication style. Elaine has been invited to speak to a wide range of corporate audiences, health professionals, PA’s and EA’s and students to learn from her experiences. Having to overcome a bereavement of someone close to her in 2011 has added to her inspirational messages about life, communication, excellence and consistency. As part of her self-supporting and self-funding role, she has continued to be an Executive PA for the past 7 years, thus giving her the valuable insight and ability to motivate and inspire those in similar roles. Elaine’s second book – ‘Another Twinkle in the Eye’ (CRC Press, 2015) is a guide for parents who are considering another baby after a previous perinatal mental illness and ideas for how healthcare professionals can support them. Testimonials report that her first book continues to help people make different decisions – and ultimately save lives – and her second is helping people make decisions to create new lives. Her overall message is positive and of hope for anyone facing, or affected by, mental health challenges. She aims to inspire people to make a difference in their own life and in the lives of others so that more eyes can regain their sparkle and delight in life…as she has done. Connect with her on LinkedIn, Facebook, Instagram and Twitter. Australian Relationship Counsellor Elly Taylor began researching the transition into parenthood when she and her husband were blindsided by the unexpected changes and challenges that followed the birth of their gorgeous baby. Over the next 20 years, Elly created Becoming Us, a new approach to parenthood that breaks those first few confusing and chaotic years into 8 stages to help parents cope with each stage and prepare for the next one. Elly has presented her Becoming Us approach at national and international conferences, served on advisory panels for several university research projects and provides professional development training to birth, health and other helping professionals. Elly lives in Sydney with her firefighter husband (yes, they made it! ), their three children and a bunch of pets. Author of the award winning book Becoming Us. Connect with her at elly@ellytaylor.com , ellytaylor.com, Linked In or Facebook. Mark Williams is a keynote speaker, author and International campaigner from Wales. In 2004 he himself experienced depression and suffered in silence for years until a breakdown. 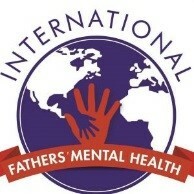 He founded International Fathers Mental Health Day and #Howareyoudad campaign to make sure all parents are having support for the whole family. Mark has spoken on television and radio stations around the world and works with Dr Jane Hanley who have both published articles on Fathers Mental Health together. Mark was awarded Inspirational father of the year and local hero at the Pride of Britain Awards in 2012 and was invited to meet the Royal Family on World Mental Health Day in 2016. He has just had his first book ‘Daddy Blues’ published. Diane S Speier, PhD, has a BA (Psychology) and an MA (Applied Psychology, with a specialty in The Psychology of Parenthood), attained in the USA. Her clinical trainings are in hypnotherapy and Integral Regression (1997). Her PhD in Women’s Studies used her case notes as a birth professional as the data exploring women’s experience of birth. She practices psychotherapy and hypnotherapy, specializing in perinatal psychology, perinatal mood and anxiety disorders, and recovering from birth trauma. Diane is an international speaker at conferences on a variety of subjects including parenting, perinatal mental health, the postpartum experience, and birth. Before emigrating to the UK, Diane was the founder/director of The Family Tree Centre for Parents in New York. Diane became a certified childbirth educator and started attending births as a doula in 1978, and taught classes to pregnant and postnatal women for 20 years. Diane is publishing a book called A Holistic Guide to the Fourth Trimester: Parents Optimizing Life After Birth (Praeclarus Press), to help parents make a smooth transition from pregnancy to parenthood. Mike presents a clear and unequivocal message whenever he speaks and whomever he speaks to. Having served as an officer in the South African army for many years and having experienced the harshness of battle conditions, much of his ability to speak of personal excellence, real communication and true leadership has been forged in conditions that have demanded authentic leadership. He has both worked and spoken in many countries being privileged to speak to senior leaders in business as well as senior leaders in government. When you add these facts to his academic degrees in coaching, counselling and psychology, you can begin to see the impact that this man has on audiences. He has studied for and has been an ordained minister, thus allowing him insight into the spiritual aspects of life. He knows and understands both sides of human nature – the light and the dark of human actions and personality. When you also realise he has 98 parachute jumps to his name, you will see and hear that he is a man who speaks both from personal experience and from a real understanding of what it takes to get men and women to change….and stay changed! He has a gentleness about him that also reinforces the essence of who he is – a strong and determined man who can help individuals and groups with the challenges they are facing in their personal lives of communication and language. Mike is a father to three and grandfather to eight, so some of what he knows has been ‘earned’ through hard work and experience. Please do share these details and remember to book via Eventbrite here. We all look forward to meeting you there!